There was rumour of a possible cut in mortgage interest rates this month, but in the end the RBA chose to keep the official cash rate on hold. It remains at the record low of 1.5%pa. Experts continue to predict a cut at some stage this year. Last month we explained Lenders Mortgage Insurance(LMI) (If your deposit is less than 20% of the value of the home you will be required to take out LMI, which protects the lender if you are unable to make home loan repayments). This month, we focus on another form of Insurance. Mortgage Protection Insurance (MPI) is a product that, in effect, insures you in the event that something should prevent you from meeting your commitments. If you become ill, suffer an accident etc. There are many variations offered and it is something to consider particularly if you have a family/ dependents. MPI varies from lender to lender. Basically, it involves a one-off payment towards your home loan if you die or will cover most or all of your monthly repayments if you are unable to work due to a series illness or injury (up to a set amount of months). As with most insurance, your eligibility takes into account whether a diagnosis has been make in the 12 months before you purchased the policy. It also covers monthly repayments if you become involuntarily unemployed. However, it does not apply if you quit your full time job, or if you are employed in a permanent part-time, casual, contract, or temporary capacity for less than 20 hours per week or you are self-employed and working less than 20 hours per week. Whether the policy is taken out as single or joint cover. The policy chosen and the features that the applicant has included on the policy. The age of the policyholder at the date of starting the policy. The size of the monthly repayments. That depends on your personal circumstances. 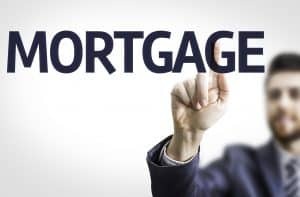 As usual, as your mortgage broker we are here to help – give us a call and we can discuss your options.